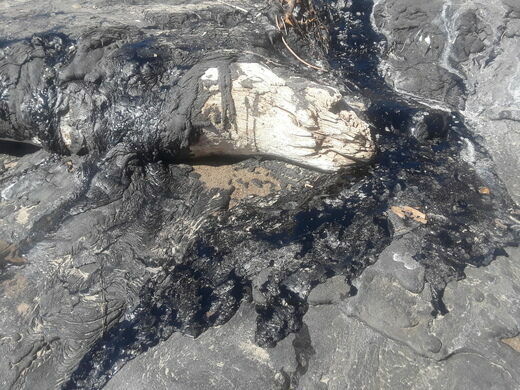 Inky sludge oozes to the surface of this beach thanks to a rare natural tar seep. 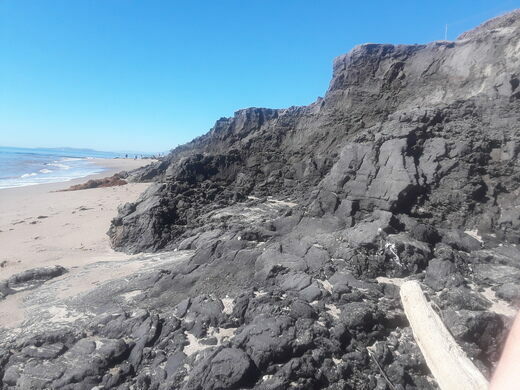 At this unique beach, inky sludge oozes out from the earth, dribbling down the bluffs and staining the landscape before eventually hardening into asphalt. The Tar Pit Park is one of only five locations on the planet to see a natural tar seep. 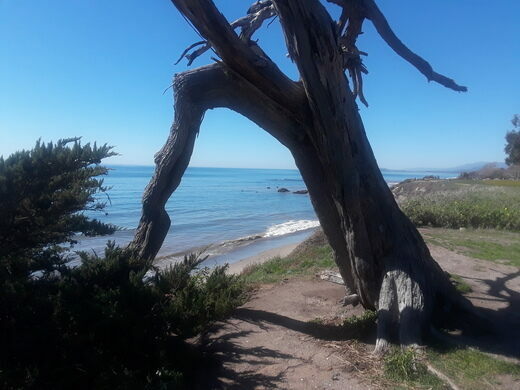 At 130 years old and 126 feet tall, it is the largest known example of the rare Torrey pine tree. 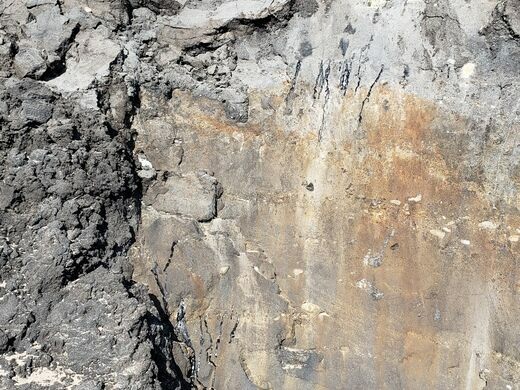 This strange “asphalt lake” was formed by oil seeping up to the surface along a geologic fault. 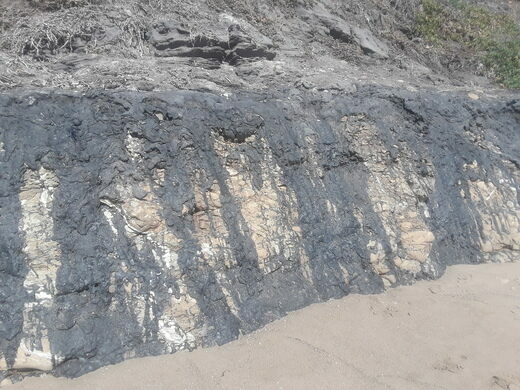 The gooey substance eventually turned to asphalt as it cooled and mingled with the air and ocean water. The intriguing phenomenon has been happening for millions of years, as evidenced by the animals from the Pleistocene epoch that have been found preserved in the tar. 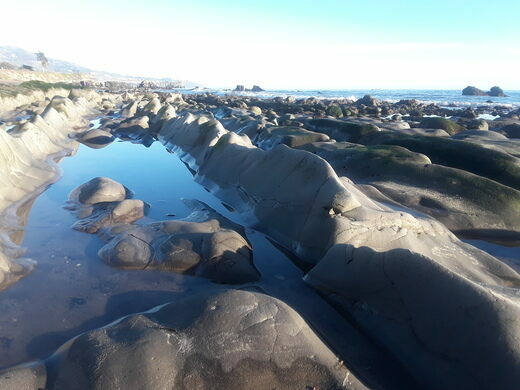 The native Chumash people mined the asphalt and used it to waterproof their boats. The tar pit was rediscovered and named in 1769 by Spanish Explorer Gaspar de Portola. 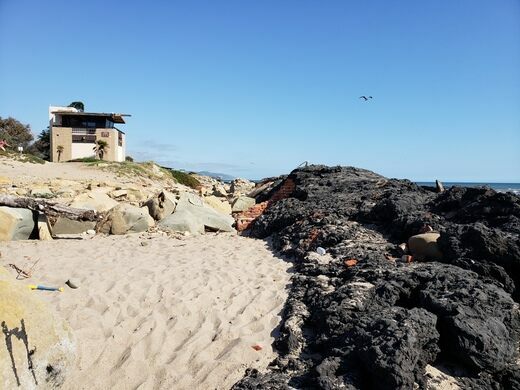 In the early 1900s, miners extracted the asphalt to help build California’s coastal highway. The tar pits then became part of a state beach, which opened to the public in 1941. There are only four other locations where this natural “asphalt lake” phenomenon occurs (two of which are also in California): McKittrick Tar Pits, Los Angeles’ La Brea Tar Pits, Tierra de Brea in Trinidad and Tobago, and Lake Guanoco in Venezuela. Google Maps will give you incorrect directions. 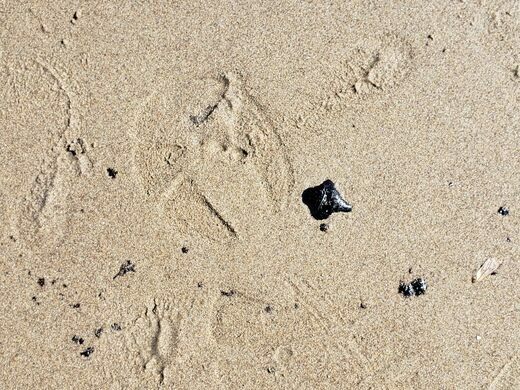 The tar pits are on the Carpinteria State Beach. 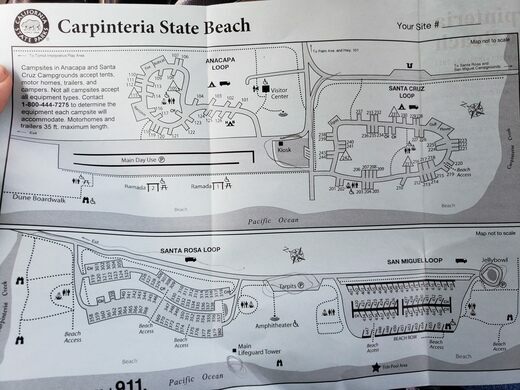 Beach parking is $10. Free Parking available in nearby Residential Area. 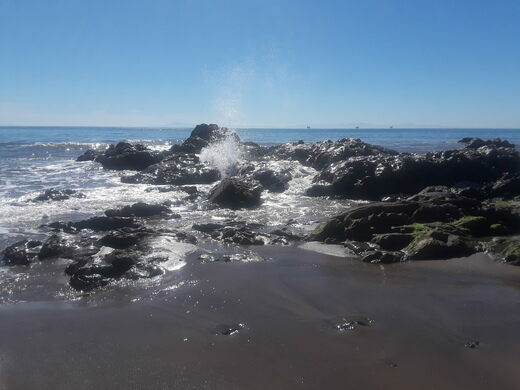 Spend a night or two at the local Carpinteria State Beach Campground and explore the quaint beachside community. While visiting the tar pits, wear shoes that you are okay with tossing as the seep does not discriminate! An unusual sand beach in the middle of a forest.